The new Mitsubishi Eclipse Cross is a good-looking crossover SUV that’s been given a nice, tech-packed interior and option list and is put together well. It comes into the market at a good price point of just over $20,000, slotting in between the Mitsubishi Outlander and the Outlander Sport but you get just one engine option, a small capacity 1.5-liter turbocharged 4-cylinder with 161 hp and 184 lb-ft of torque available, and that’s mated to a continuously variable transmission and can be had in front-wheel drive or all-wheel drive. Don a blindfold before getting into the Eclipse Cross and the ambiguity of the new car smell will confirm one thing to you: this during your Fast and Furious phase. Something has changed, but you could learn that just by looking at the word “Cross” in its name. Equipped with high ground clearance and a pricing structure that all but guarantees you’ll end up with AWD, one can infer that Mitsubishi has turned its sights on millennials and decided to strike with another crossover. It’s not like Mitsubishi has many of them, though. In fact, with only the Lancer, Mirage, Outlander, and smaller Outlander Sport, it’s not like Mitsubishi has much of anything in its lineup. It would almost seem as if the Japanese automaker was preparing to exit the US market the same way Suzuki did, but then the Eclipse Cross happened. 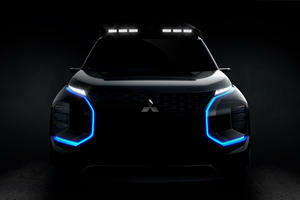 Proof that Mitsubishi is back and wants a chance to stay in the Land of Opportunity. Purists may snicker at the fact that it shares a name with a Japanese sports car icon, but historic associations forge strong connections with customers and this spunky little automaker needs to recruit every fiber of fight it has to win new territory. Association, therefore, becomes useful. And so do allies. With Nissan-Renault having acquired the struggling automaker and backing up its coffers should they ever get too low, Mitsubishi now has the initiative, experience, understanding, and foresight of a larger automaker. Don’t, however, look for the fruits of that marriage in this batch of hardware. Powered by a rough-sounding Mitsubishi-built 1.5-liter turbocharged four-cylinder engine, the Eclipse Cross feeds its CVT with 152 horsepower and 184 lb-ft of torque—flat turbo torque curve and everything. Acceleration off the line lies in the camp of adequacy, but it’s the way the Eclipse Cross handles that lends one to think the sporty design amounts to false advertising. The cushy suspension and soft ride feels about right for parents not wanting to wake children napping in the back, but that’s not what this crossover is built for. Mitsubishi’s target demographic isn’t much different than that of the original Eclipse: young, no kids, career-focused, and looking for fun to go with their commute. It’s just adapted these demands to the recipe that seems to be selling nowadays: the crossover. The bean counters made sure the Eclipse Cross checked off all the basic boxes: a smartphone-age (and friendly—it has Apple CarPlay and Android Auto) infotainment system, versatility afforded by dimensions larger than your run-of-the-mill sedan, a modern interior, and exterior looks that try their best to turn heads. It’s the latter part of that list that Mitsubishi is leaning heavily on here. Internal market research shows that most of the last Eclipse’s buyers gravitated to dealerships because of the coupe’s styling. 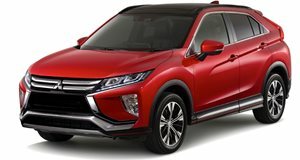 Knowing it wasn’t going to win by out-offering the rest of the world’s crossovers with extensive features in what has become literally the most competitive segment in the industry, Mitsubishi let its design department do the talking. Or try to. 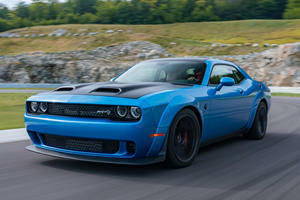 The focused aggression of the headlights and the angular front end gets lost in the confusion of a twin-slat chrome grille, gloss-black accents, and hints of body-color plastic that try to tie it all together. This calamity gradually gets better as you move rear, with body lines exacerbating aggression to give the awkward athletic proportions a reason to exist—before it all ends as chaotically as it began at the back with a split rear window reminiscent of the Prius, Civic, or Pontiac Aztek if you really want to get mean about it. Suffice it to say, the Eclipse Cross is polarizing. But so is just about everything else on sale ever since being different became the norm. This is no Honda CR-V, and the designers definitely wanted the crowds to know that. Too bad the rest of the team couldn’t get on the same page because the Eclipse Cross seems to apply the generic crossover feel everywhere. Niceties like a split panoramic sunroof, heated seats, and a steering wheel full of buttons to make driving and simultaneously enjoying life more compatible, are abundant as long as you opt for the SEL Touring trim. Overall quality feels good but offers nothing unique for one to digest. Mitsubishi did manage to nail the touchpad infotainment better than Lexus, but that’s not saying much. The only outlying feature on the interior, aside from the Mazda-style pop-up HUD display, are the rear seats, which can be slid forward and backwards or reclined and propped up straight to favor either cargo capacity or passenger comfort. Surely there’s got to be more, right? Well, don’t hope too hard with this one, especially behind the wheel. Mitsubishi, filled with remarks about how sportiness was baked into the car, had us drive the Eclipse Cross down the winding mountain roads located north of Los Angeles and south-west of the Ventura fires that were blanketing the city with smoke and slowly turning the city of angles into an inferno. These are the sort of roads where a McLaren or Cadillac CTS-V are right at home, and also where the Eclipse Cross falls apart. Not like anyone is expecting a vehicle with 3,600 pounds sitting up high to feel athletic, but the abundance of body roll makes us wonder why Mitsubishi chose the canyon roads for a shakedown and not left us in the Cross’ natural habitat: the suburbs. Using the paddles to shift the CVT into one of 8 preset ratios to keep revs high before tossing the Eclipse Cross into a corner sounds good in theory, but in practice the process feels as organic as running a 5k obstacle race in rubber boots. For the Eclipse Cross, looks, style, and the lifestyle image they project are what make the crossover, and those are all subjective. If these are what lulled you into the dealership in the first place, at least Mitsubishi made it easy by breaking the Eclipse Cross into four trims that contain all the available options. The base ES trim starts at $23,295 (not including destination) and is the only trim that can be had with front-wheel drive (though AWD can be added for $600). Moving up to the LE adds visual upgrades on the exterior as well as the 7” screen with smartphone connectivity. Mitsubishi’s Super All-Wheel Control AWD also becomes standard from the LE trim and up. 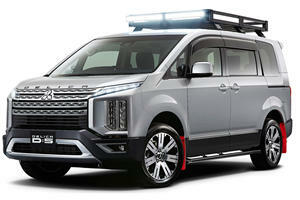 Ticking off the SE box adds leather seating, the HUD, LED lights, a 360-degree camera system, and driver aids like blind spot monitoring and rear cross-traffic alert. Those wanting to ride in luxury should opt for the SEL trim, which adds a panoramic sunroof, premium audio, four heated seating surfaces, a heated steering wheel, and Mitsubishi’s suite of advanced safety tech like adaptive cruise control and the like. Unless the name or unique styling has you head over heels, there are better composed picks in this segment. What else will Mitsubishi bring to the 2019 Tokyo Auto Salon?